Compromising your weekends and dealing with tons of drunken college students at 3 am may not sound like your cup of tea. 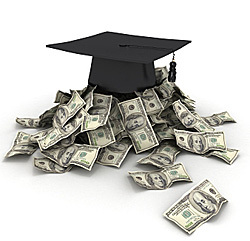 There are other options you can pursue to increase your cash flow as a student. These options will likely be more enjoyable, and all idealistic notions aside, will probably make you more marketable to employers in the future! Freelance writing can give you the opportunity to make extra cash on your own terms. You can receive assignments when you are available to write them. Publications usually pay by the word, so there will be no ambiguity about your pay and work. Try to find a journal or publication that hires freelancers based on your area of interest or college major. For example, if you are majoring in petroleum or chemical engineering, you could freelance for an oil and gas publication. Many of the renowned journals and publications hire students/ recent college graduates who are able to grasp technical industry terms and business deals. If you are interested in politics or economics, you can also freelance for a web-based or print publication. Contact the human resources manager or the managing editor of the publication. Have writing samples ready to send over, as this is an important part of the selection process. Let them know your interests as well as your willingness to write on a regular basis. This temporary job will be a great addition to your resume, and in the meantime you could learn a lot of about your field of interest. Professors get large grants for their research projects and faculty initiatives. While writing their funding proposals to organizations and universities, they usually allocate funds for student assistants in their budgets. If there is a particular subject you are interested in, ask a professor if you can work as their research assistant. Although professors usually seek out graduate students, they may be willing to make exceptions if they see your dedication and initiative. Check out academic department websites and faculty specialties to target particular projects. You will usually get paid by the hour for your hard work!